For Asia, different areas of the collection are framed in different ways, where the approach is seen as complimentary away from nation building. It is a public funded museum in Hong Kong…a governmental initiative as part of the redevelopment of the West Kowloon area. M+ will operate independently of the government event though funded by them. It is a controversial project, half a dozen performing arts venues, 15-20% park land, where the museum of approximately 110,000sq ft. comparable in size to the of MoMA New York. What makes it (from) a Hong Kong perspective? It is evolutionary. There’s no one answer. It’s not fixed and we are still figuring it out. It’s publicly funded so there are pre-conceived notions of what we are doing and not doing. We’re focussing on Visual Arts, Design and Architecture and Moving Image. 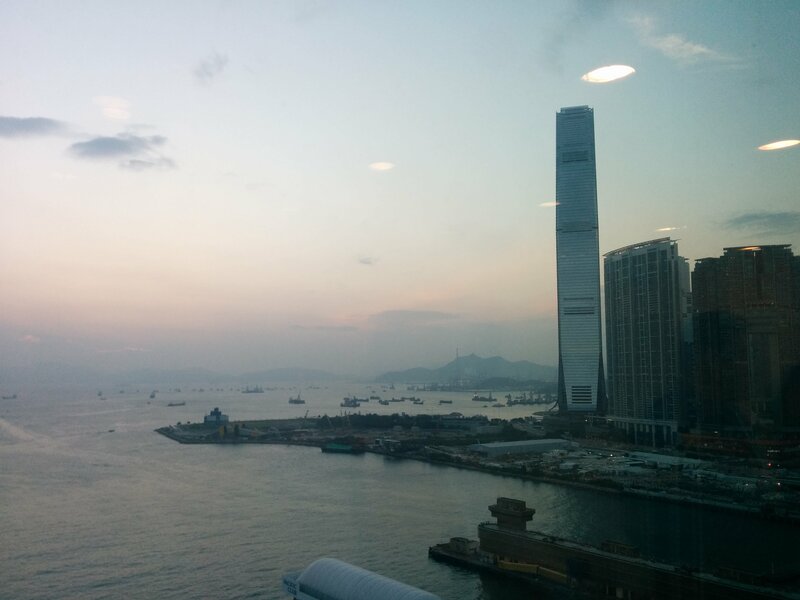 The collection has already done a lot in terms of fleshing out ideas in Hong Kong. The main collection in the M+ Uli Sigg Collection walking through a 40-year history of contemporary Chinese art that no one else can do. The history has become deeper in 40 years with new trends and solid artist communities. Recent history and recent research makes the development of a collection very hard. There is a strong Japanese discussion…are good museums in Japan, Korea, Taiwan, China, South East Asia and Singapore nation bound? Their collections are often haphazard and not systematic. We want it to be nation authoritative, wider representative and wider response and enough in a comparative sense. Asian artists are by definition global such as Paul Chan, Isaac Julien, Anthony Gormley. In June 2012, the collection had 1510 works, where now there are over 4,300. How do you anchor a non-profit institution like M+? Hong Kong is a place that has had museums with specific areas and a mandate for each. It’s how you conceptualise it as an institution. As M+ grows, the cultural ecology grows radically from its roots of Asia Art Archive, Para Site and Osage; the increase of galleries from outside; non-profits and Art Basel. Hong Kong has turned into the hub/destination in the region. We don’t want to be the “beam? ?” in Hong Kong, we want there to be “multi-layers” to the scene. It is “distinctiveness” and how the ecologies relate to each other. What distinguished Hong Kong artists from others? It is commodity rather than process. It is an artist-led culture. Hong Kong is a small place so still small in terms of the number of artists and those rising to the top for example, Lee Kit. An exclusive area of the collection is dedicated to Ink Art as there is a whole layer of artists not exposed. We have nothing to do with socially-engaged art as such or artists post-Umbrella Movement. What does M+ mean in the Hong Kong perspective? Historically Hong Kong has open borders and commercial practices, manufacturing ti services. It is trying to reflect more accurately of how ideas have moved in and out of Hong Kong. We are actively resisting the idea of “Hong Kongness”. Move away from what people think about in Hong Kong…what already exists here and how we can add to it. Lars’s vision is “building a museum from the inside out”…whilst trying to work out how we share a museum as it is being built. We are doing this through ‘M+ Matters’ and public forums. By building it from the inside out, it is harder to formerly speculate. Our leverage is what we are all already brining to this institution. So we need to “convert others”. The project is interesting and Hong Kong is a draw. It is something very exciting historically to geographically…it is a convening of forces, economic to the political. It is about benefiting Hong Kong and adding with conviction. The importance of building symbolic and spiritual capital. 50% of the budget is on staff with a current team of 45 staff. Half of this is curatorial staff with 8 learning roles within this. Nationalist, more international museum in Asia. It is a shared conversation, multi-dimensional. Building finished by 2018 and open by 2019. The government is inviting in audiences by building enterprise such as Oil street, a platform for developing emerging curators and through open calls. To be crass and realistic, M+ has fantastic artworks that will be naturally crowd-pleasing…research and scholarship…blockbuster shows that will be done more smartly and with more integrity…built into our DNA and thinking, it’s a pro-bono institution. Mandate clear, ethics clear, museologically run like any other space, it’s just the surroundings are different. What has taken root yet is not quite an understanding of the ecology…no understanding is appropriate as it has developed so fast. Numbers are seen as obscene, when in reality all the money is going to M+ staff/one-off institution. Trying to maintain animosity to what we do…with a black and white attitude.